Mexican Coffee Recipe – Just In Time For Cinco De Mayo! Mexican Coffee Recipe for Cinco de Mayo! Happy Cinco de Mayo! Today marks the day that, in 1862, the Mexican army gained victory over France at the battle of Puebla, during the Franco-Mexican War. In celebration, spice up your coffee routine today with a delectable Mexican Coffee recipe. 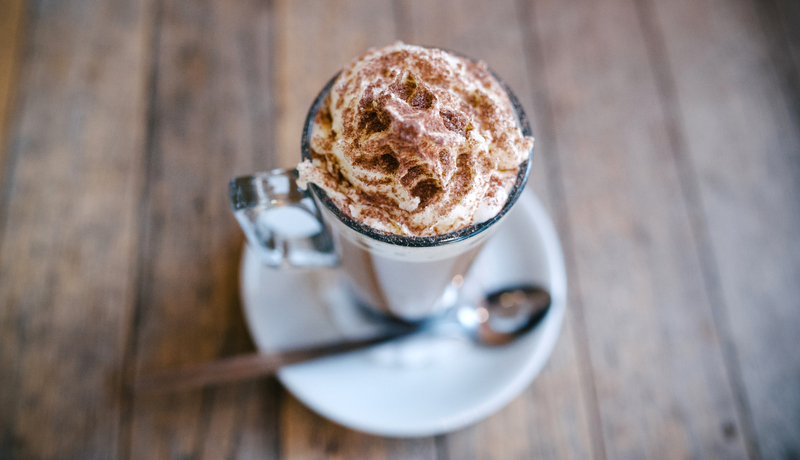 A little cinnamon, a little whip cream, and a whole lot of delicious coffee! Brew a cup of your favorite specialty coffee using your preferred method. Note: Using high quality coffee results in the best end product. Stir brown sugar into your coffee and until it dissolves. Add cinnamon a pinch at a time, while stirring well. Garnish with a generous amount of whipped cream, sprinkle cinnamon atop and finish off with a stick of cinnamon.